Hot Tropics is a bright purple-toned pink with tons of gold microfleck shimmer. It's a bit purple-ier when it's mattified, but still too far over the pink line for this pink hater. Gorgeous and splendid and beautiful...and pink. Phooey. 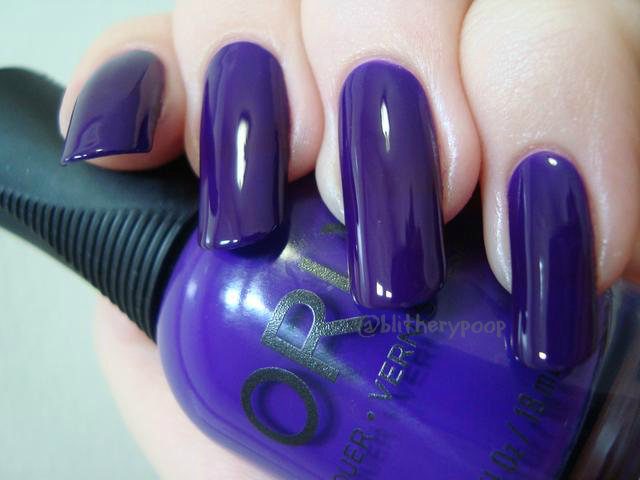 Saturated is a very dark purple neon. The. Stuff. Of. Dreams. Glorious! I...I can't even words. Just...damn. Hotness. It's even more amazing in person too. Redder, more intense, and "deeper" than my camera could manage. Neons shouldn't manage to be dark, but it works! Like all neons it dries to a semi-matte if not topcoated. This is two coats. The application wasn't as dreamy as Hot Tropics, but was still good. And really...who cares? HOT!! Bottom line: Hot Tropics is gorgeous and a breeze to apply, but is much pinker on the nail than in the bottle. I found myself wishing the whole collection had the microfleck shimmer from Hot Tropics, especially Lush. I'd have been all about that. Actually, Saturated is divine partly because it's so pristine, and photos don't even start to get its point across. Instant brand top 5 for me. You'll be seeing it again in my favorites of the year post, I'm sure. I'm so far behind with these that the fall collection, called Smoky, has already been announced. Want!! 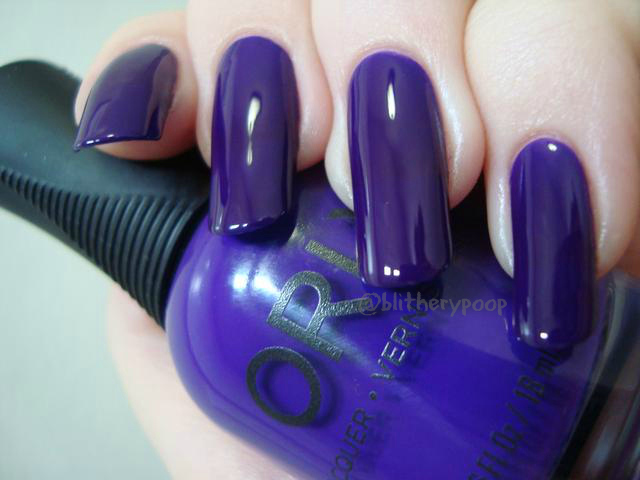 If they live up to those promo blobs this might be the first time I buy a full Orly collection. 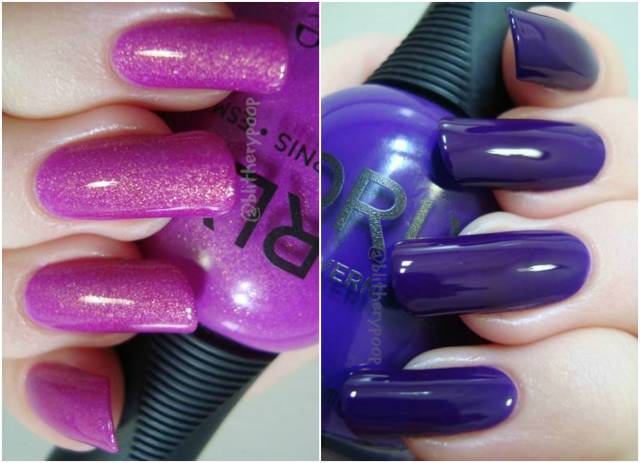 I love browsing posts about CosmoProf conventions and getting a tantalizing early look at my two favorite polish seasons. Can't wait! I was too late to pick this one up in full-size bottles, but I'm so glad I have it in minis... I love both of these colors! Have saturated, want hot tropics badly. It looks great on you.